Yesterday, a patron requested several of the Harry Potter books as she had never read them before and wanted to start them now that she was out of college. (Better late than never, right?) 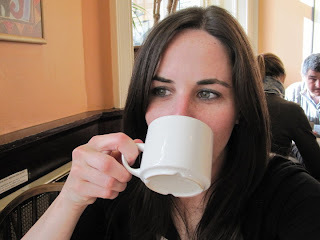 The transaction reminded me of when my sister and I, during a trip to Scotland last May, visited the coffee shop in Edinburgh where J.K. Rowling did her writing in the early days. You know, before she became the most famous writer in the world and a children's literature icon and a target for the religious right and a millionaire. Those days. Ahhh, I can feeeel it woooorking. 3. 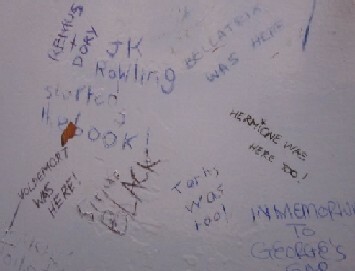 The statement "J.K. Rowling started the book!" is a bit confusing. What is the nerd vandal really trying to say here? Is there a deeper meaning? Do we even want to know? Now that's what I call "art appreciation." Thanks for the memories, Scotland! I love that last image, it's nice to see the curators having a little fun. 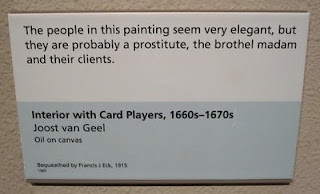 One of my favorite games in an art museum is to come up with stories about the people in the paintings - especially the ones where it can be kind of confusing about what's going on. "Mary Cassatt is famous for painting sensitive portraits of children. But who are these two little girls? Are they sisters? We don't know." After reading that, I went to the coffee house's website and watched the J.K. interview on there. Then I watched her interview on Oprah. An hour later, I was inspired, yet pissed that I wasted an hour of time. I'm here to help, Matt. I'm here to help. The curators for that museum sound like CNN anchors. "Who are the people in this painting? We don't know. 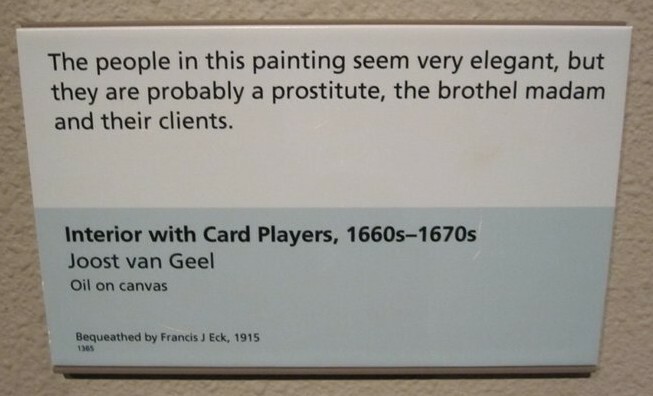 Prostitutes? Kidnapped children?... More at 11." You left no mark of your own? now i want to post comments a la Scottish curators in my own albums. "The benign-looking people at this Thanksgiving seem to be my family, but they are, in fact, hired actors, minstrels, and prostitutes."